The air is warm and soft, the trees are budding, and the delicate perfume of flowers floats through the air. It seems as though winter is finally over and the earth has begun to thaw. What better way to celebrate the advent of spring by taking advantage of the beautiful weather and hosting a girls' night in your home garden? Imagine: a blooming garden, a sunset, a pitcher of flower-inspired drinks, and a table adorned with spring appetizers and gorgeous flower displays. 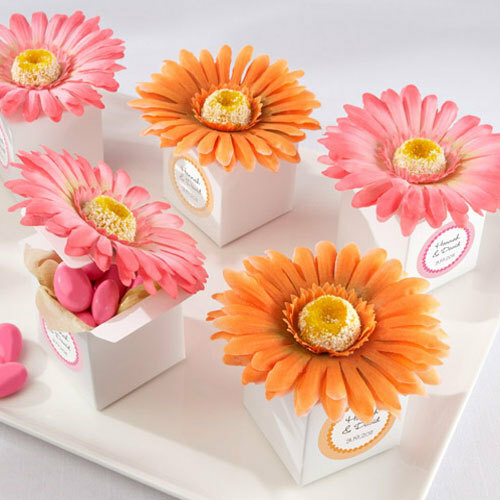 With only a little effort, even the busiest women can host a girls' night out in flowers. The possibilities are endless when it comes to deciding what kinds of appetizers, dinner treats, and cocktails to serve at your garden-style girls' night out. You can choose among the many vegetables and fruits coming into season, such as strawberries, apricots, fiddle heads, peas, or asparagus, among others. Each fruit and vegetable lends a distinctive flavor to your desired appetizers. To make a truly exquisite appetizer arrangement, however, consider impressing your friends with divine dinner treats and cocktails accented with flowers, such as the options below. To simplify your shopping trip and improve the taste of your dinner treats, order flowers online to find the best prices and highest quality. This dish is healthy and delicious, as well as a beautiful dish. Simply remove the stems from four sunflowers, toss them gently with a cup of dry white wine, a half cup lemon juice, and a half cup olive oil. Sprinkle them with sea salt, white pepper, parsley, thyme, and basil. Fill them with ricotta mixed with lemon juice and herbs. Sprinkle a liberal amount of bread crumbs on top, and roast them in the oven at 450 degrees for 7-10 minutes, or until the bread crumbs are browned. Garnish with sunflower petals and serve. A refreshing cocktail for hot afternoons, your guests will love the Rose Mojito. 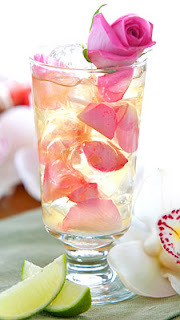 To prepare, fill two glasses with crushed ice and muddle in several stems of mint, slices of lime, and rose petals. Combine 1 ounces of rum, 1.5 ounces of rose water, and 1 ounce of fresh lime juice in a shaker and shake for at least 10 seconds. Strain the mixture into the glasses and top with club soda. Garnish with a rose petal. This classic Mexican cocktail takes its inspirations from the garden for a unique and sweet-tasting combination. Fill four glasses with crushed ice. Combine 1 cup of silver tequila, 1 cup of fresh lime juice, and a quarter of a cup of hibiscus syrup in a cocktail shaker. Strain the mixture into the ice-filled glasses. 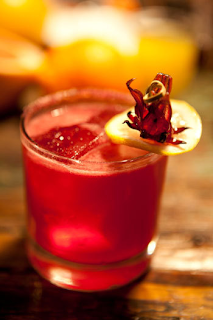 Garnish with hibiscus flowers, and enjoy! What would a garden-inspired girls' night out be without garden-inspired decor? Set a playful mood to your party by arranging flowery decor in your garden for your guests to enjoy throughout the evening, and surprise them before they leave with flower-inspired party gifts. If you're pressed for time, you may opt to order flower arrangements online or purchase gifts online, so that both the decor and gifts come ready-made straight to your door. 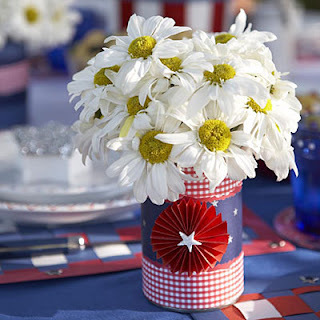 If you're feeling creative, however, you may want to consider picking your own flowers and then taking the additional time to turn them into something unique to you and your guests. Below are some suggested ideas to get you started. Anything can serve as a vase to hold your flowers, but what you choose depends on your budget, what you have readily available, and the sort of mood you want to set. For example, paint recycled cans your favorite color and fill them with daisies or daffodils for a playful, country-style floral arrangement. If your tastes lean towards classic feminine options, fill glass vases with roses or tulips. Remember that certain color flowers have certain connotations; For example, red roses imply romance, whereas yellow roses imply friendship. Guarantee that your girls' night out will be an evening your guests won't be able to forget by giving your friends something to take home with them. 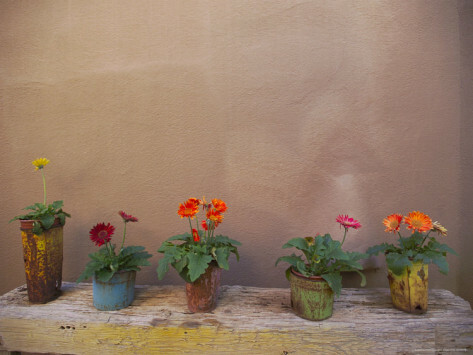 The possibilities are many: if your friends are interested in crafting and gardening, for example, give them flower seeds or starter plants to put in their own gardens. If your friends are interested in fashion, give them necklaces adorned with glass flowers or fabric flowers to wear in their hair. Consider including with each gift a small bouquet of flowers and a handwritten note from you, thanking them for joining you in a truly special evening. Patricia Hall works part-time for an online florist in the uk and loves to surround herself with flowers at any given point of time. Even in her free time she loves to involve herself with everything flora and fauna.